BE ALERTED EVEN IN REVERSE When backing out of a parking space, available Rear Cross Traffic Alert warns of oncoming left or right cross traffic. WINDSHIELD WIPERS AND BRAKES WORK TOGETHER Available Rainsense Wipers automatically engage when rain is detected, adjusting their speed to the rain’s intensity. Whenever wipers are activated, Auto-Dry brakes automatically position the brake pads closer to the rotors to sweep away moisture and improve performance. TRULY FORWARD THINKING Available Forward Collision Alert monitors traffic ahead, alerting you if a potential collision with a detected vehicle is imminent. HINDSIGHT IS 20/20 The Rear Vision Camera automatically displays a live image of the area behind you on the Cadillac user experience screen. Guiding lines on the image plot out your intended trajectory, helping you to see people and objects that might be in your path. SMART SPACE Available Adaptive Cruise Control -Advanced uses both radar and cameras to maintain a set distance between you and the vehicle ahead. 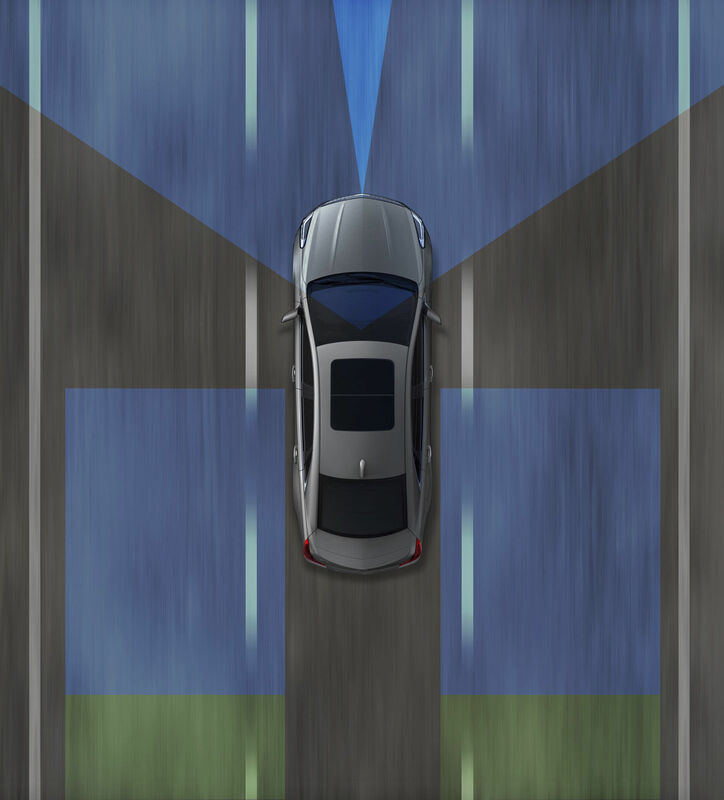 TRAVEL THE STRAIGHT AND SMART Using cameras to sense lane boundaries, available Lane Keep Assist gently turns the steering wheel if the system anticipates the vehicle is leaving the lane unintentionally or if the turn signal is not activated. Working in conjunction with the available Safety Alert Seat, available Lane Departure Warning sends a visual alert in the gauge cluster and a warning pulse through the seat cushion if your vehicle crosses the lane marking. AN ATTENTION-GRABBER Available Lane Change Alert with Side Blind Zone Alert surveys the area well beyond the side blind zone, and illuminates the side-mirror warning icon to alert you if a moving vehicle is rapidly approaching. Available Side Blind Zone Alert monitors your blind zones, so if a vehicle is in the adjacent lane, it also illuminates the sidemirror icon. In both features, if you’ve activated your turn signal, the icon on the side mirror flashes to alert you. GAIN PRECIOUS TIME Up to certain speeds, available Forward and Reverse Automatic Braking can sense imminent forward and reverse collisions and automatically engage the brakes, if you have not already done so, helping to reduce the severity of the collision. The system may even help avoid a collision at very low speeds. Safety or driver-assistance features are no substitute for the driver’s responsibility to operate the vehicle in a safe manner. The driver should remain attentive to traffic, surroundings and road conditions at all times. Visibility, weather and road conditions may affect feature performance. Read the vehicle Owner’s Manual for more important feature limitations and information. DANGER, DETECTED Cadillac’s available patented Safety Alert Seat sends a discreet pulse to the left, right or both sides of the driver’s seat, indicating the direction of the potential threat. A HIGHER LOOK AT WHAT SURROUNDS Available Surround Vision provides a bird’seye view of the area immediately surrounding the vehicle when in low-speed Drive or Reverse. 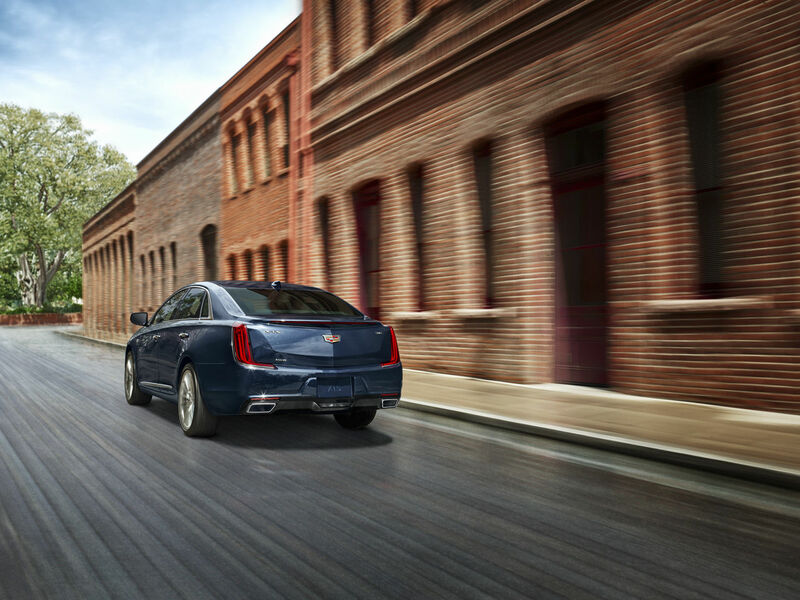 This view, projected onto the Cadillac user experience screen, helps increase your awareness when parking or in Reverse. STRONG ENOUGH TO CRUMPLE The ultra-high-strength steel safety cage features strategically placed crumple zones that absorb and manage the energy from a collision, helping preserve occupant space.